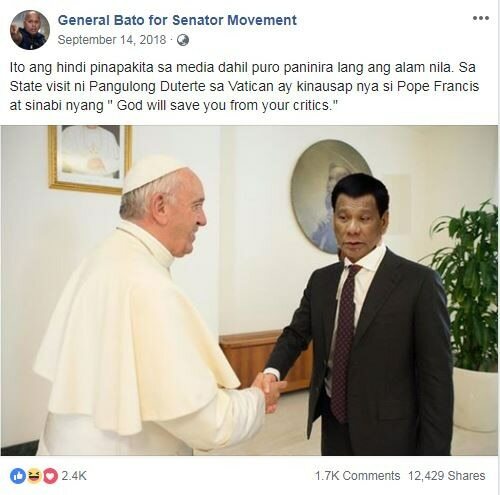 A photograph that has been shared thousands of times on social media claims to show Philippine President Rodrigo Duterte meeting Pope Francis. 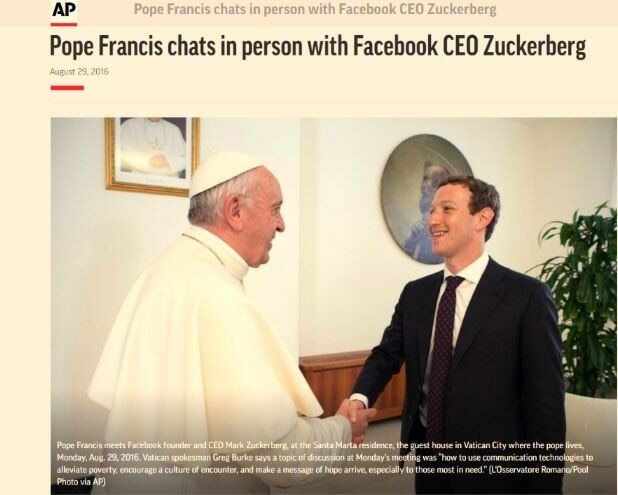 The claim is false; a reverse image search found that the picture is a doctored version of a photo showing Facebook founder Mark Zuckerberg meeting Pope Francis at the Vatican in 2016. 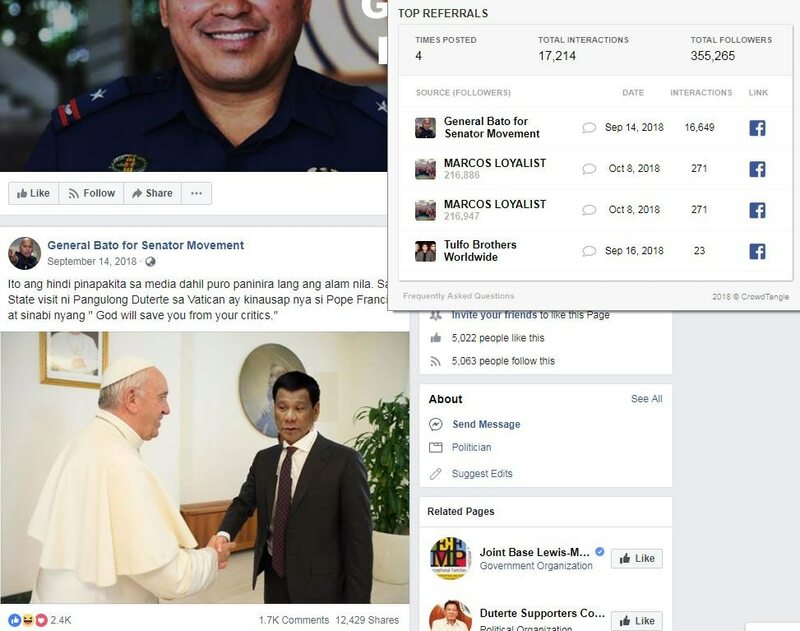 The photo, which has been posted on Facebook and on Reddit, purports to show Pope Francis shaking Duterte’s hand. Duterte made plans to visit the pope and personally apologize for the remark, but subsequently canceled them. The doctored photo and the original both contain these key details: a circular painting in the background, a dark-colored tie and a plant in a white pot on the image’s far right.